You see this page because you clicked on the download button of Jetpack Joyride from our website. Below are the download URLs, please select the download URL of Jetpack Joyride and the download method is suitable for your device. Jetpack Joyride supports for Android 4.1 with a minimum requirement of 97M of free memory. We will not be held liable for any damages as a result of the download Jetpack Joyride. If there is a problem with the broken link, cannot download Jetpack Joyride, please report to our webmasters. Thank you! Jetpack Joyride (MOD Unlimited Coins) is a helicopter game released by Halfbrick Studios - producer of Fruit Ninja. 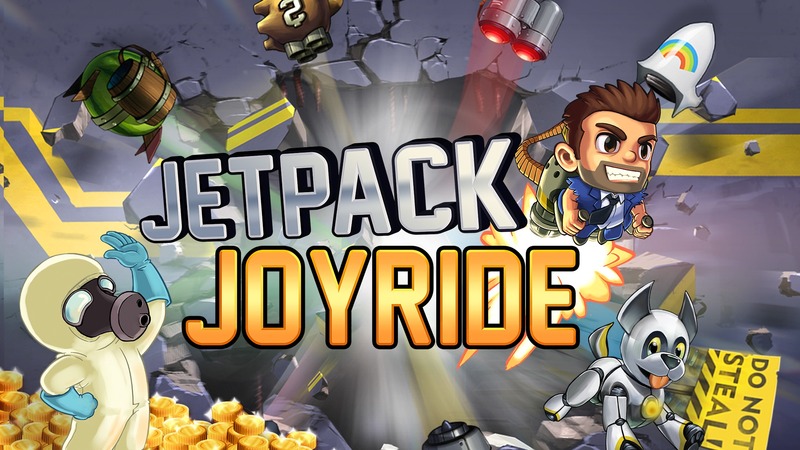 The beta version of the game was released on May 11, 2012, on the Facebook platform, then the game switched to other platforms like Android, iOS, Window Phone,... . Readmore about "Jetpack Joyride" here.